In website builder WebWave element Google Map allows you to add a map to your website. You can for example place on it your company address or mark your favorite restaurants. In this article, you will learn how to build a website with Google Map. 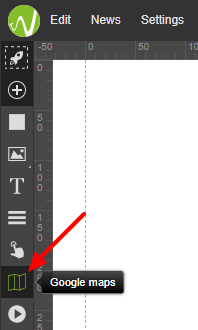 In order to add Google Map to your website, select map icon from the toolbar on the left side of the builder and drag and drop it to your website. To open Google Maps settings, double click on it. 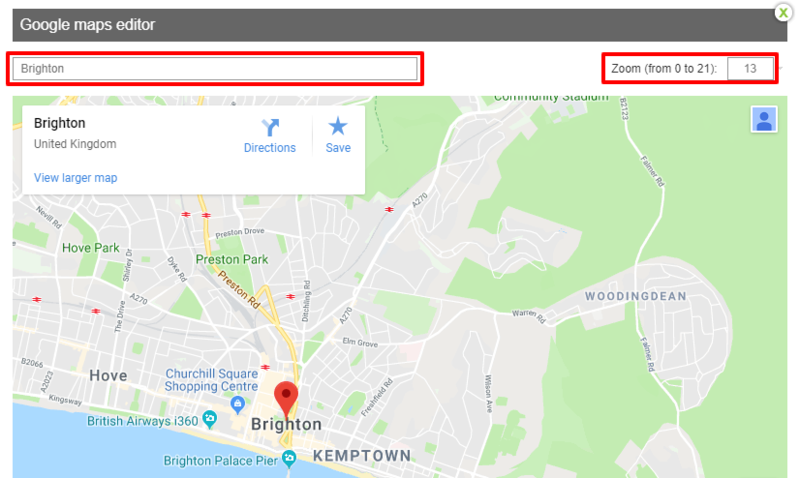 If you want to mark a certain address on the map, search it in the adequate field in Google Maps editor and set a zoom level in the top right corner.